Join Midge at the Osher Lifelong Learning Institute at Southern Oregon University for Paths to Publication, a five-week, hands-on seminar about the myriad ways to publish your work and how to choose the right path for your project. The class is for writers of all genres and is suitable for writers in the early stages of a project as well as for those with finished manuscripts. Learn more here. Join Midge and many other authors, educators, and presenters at the Association for the Study of Literature and Environment conference at the University of California, Davis, from June 26 to June 30. The conference will feature workshops, panels, readings, speakers, field trips, publishers' exhibits, and much more. The Young Artists Institute is a week-long summer residential program for highly artistically motivated high school students, held on the Southern Oregon University campus in Ashland, Oregon. Join Midge and Richard Blanco, Lance Copeland, and Barret O’Brien for this program in creative writing, poetry, theater, and visual arts, which includes intensive hands-on workshops, mentoring, evaluation, and presentation of completed works. Learn more here, and click here to apply. Southern Oregon University — February 14, 2019, at 4 p.m.
Join Midge at Southern Oregon University's Hannon Library for Literary Activism: How Writers Can Change the World for Animals and the Planet, part of the Friends of the Hannon Library 2018-2019 Lecture Series. The event is free (including parking!) and open to all, and begins at 4 p.m. in the Meese Room at the Hannon Library at Southern Oregon University. Click here for details, including parking information. Join Midge and dozens of other local authors and publishers at the Ashland Public Library's Local Author Fair on Sunday, December 9, from 12 noon to 3 p.m.
Join Midge and Adventures by the Book on a journey to see the penguins of Patagonia! See the Magellanic penguins at Punta Tombo, which helped inspire My Last Continent, as well as UNESCO World Heritage site Peninsula Valdes, where you'll see not only penguins but rheas, guanacos, foxes, sea lions, elephant seals, orcas, and more. Visit Adventures by the Book to learn more about this amazing nine-day journey to Argentina and to reserve your spot on a one-of-a-kind literary and wildlife adventure. This journey also includes an optional Antarctica extension — click here for the full itinerary. Join Midge and many other writers and speakers at Centralia College for the Southwest Washington Writers Conference. Click here for details. Manzanita, Oregon — Saturday, May 19, 2018, at 12:30 p.m.
Join Midge for a workshop for readers, writers, and travelers alike, in which we'll take a journey into reading and writing about place. We'll hear excerpts from published writers and travelers, and you'll also have a chance to do some writing of your own as you learn essential tips for how to turn your own adventures into compelling stories. We'll wrap up with a segment about options for publishing your travel writing, whether books, articles, or fiction and poetry. Click here for complete details. Pacific City, Oregon — Friday, May 18, 2018, 1 - 3 p.m.
Join Midge at Southern Oregon Willamette Writers for a morning presentation on the paths to publication, from 10 a.m. to 12 noon, and a hands-on afternoon workshop on submissions, with tips for composing query letters and synopses, from 1:30 to 3:30 p.m. Click here for complete details. The KSP Writers' Centre — Sunday, November 26, 2017, at 4 p.m.
Join Midge and Ashland Creek Press co-founder John Yunker for drinks and nibbles at this Sunday Session on writing and publishing at The KSP Writers' Centre in Perth, Western Australia, on Sunday, November 26 at 4 p.m. Click here for more details. The University of Canterbury — Friday, November 10, 2017, at 3 p.m.
Join Midge, Ashland Creek Press co-founder John Yunker, and New Zealand Centre for Human-Animal Studies co-director Philip Armstrong for a seminar on writing about animals on Friday, November 10, at the University of Canterbury in Christchurch, New Zealand. This seminar will look at the role of animals in literature and offer insights into the ways in which twenty-first century animal literature can enlighten as well as entertain. Click here for details. Panel on "The Greening of Literature"
Join Midge, science writer Virginia Morell, poet Pepper Trail, author and professor Melissa Matthewson, and professor and moderator Ed Battistella at 10:30 a.m. in the Meese Room at the Hannon Library at Southern Oregon University for a panel on eco-literature. This panel gathers together writers of poetry, fiction, and nonfiction, as well as those who teach and publish environmental writing, to discuss this emerging genre and the ways in which it is transforming literature and publishing. Click here for a full festival schedule. Join Midge at 1 p.m. in the Hannon Library's Humanitarians Alcove at Southern Oregon University for a reading and travel-writing session. Along with a reading from My Last Continent, we'll talk about travel and writing, and get to work on a few travel-inspired writing prompts in this mini-workshop for readers, writers, and travelers. Click here for a full festival schedule. Join Midge and many other writers at the San Diego Festival of Books, sponsored by The San Diego Union-Tribune and KPBS. Click here for the day's schedule. Laguna Beach, California — Sunday, August 13, 2017, at 4 p.m.
Join Midge for a reading and book signing at Laguna Beach Books. Ashland, Oregon — Monday, June 26, 2017, at 7 p.m.
Join Midge and Edgar and Lucy author Victor Lodato for a conversation at Bloomsbury Books, moderated by Southern Oregon University professor and linguist Ed Battistella. 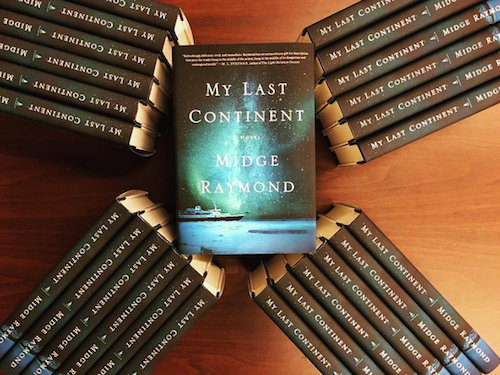 Eugene, Oregon — Sunday, April 23, 2017, at 2 p.m.
Join Midge at the University of Oregon bookstore for a My Last Continent reading and book signing. Join Midge and other authors at California State University Fullerton for A Day of Authors on Saturday, March 25. 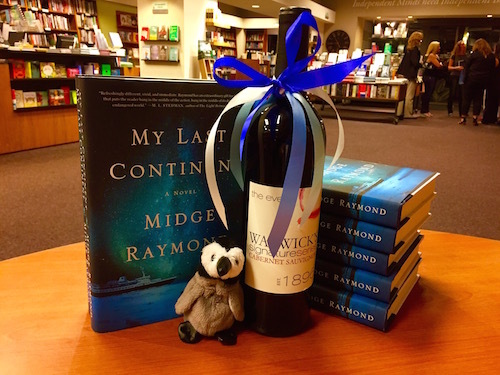 Ashland, Oregon — Friday, December 16, 2016, at 6 p.m.
Join Midge for an evening of wine, penguins, and My Last Continent at Weisinger Winery in Ashland for Friday Words and Wine on December 16, at 6 p.m.
Join Midge and dozens of other writers at Wordstock at the Portland Art Museum and other venues in the surrounding South Park Blocks on November 5. Midge will appear in a discussion titled The World Changed with Alexis Smith and Sunil Yapa, moderated by Zach Dundas, at 10 a.m. in The Old Church. The event will be followed by a book signing. Click here for details. Sunriver, Oregon — Saturday, October 22, 2016, at 5 p.m.
Join Midge for a reading, signing, and Q&A at Sunriver Books & Music at 5 p.m. Click here for details! 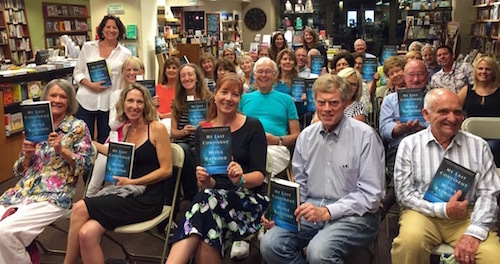 Corte Madera, California — Monday, October 10, 2016, at 7 p.m.
Join Midge for a reading, signing, and Q&A at Book Passage in Corte Madera at 7 p.m. Click here for event details. Join Midge and Cassandra Dunn, Antonia Hayes, Robert Thomas, and Shawn Vestal at Litquake for Off the Richter Scale: Daring and Inventive First-Time Novelists from 2 to 3 p.m. at the Mechanics' Institute Library at 57 Post Street in San Francisco. The panel will be followed by a book signing. Click here for complete information. Join Midge and other presenters at the North Coast Redwoods Writers' Conference for a weekend of readings, presentations, and workshops. Join Midge, Sascha Morrell, and John Yunker for a seminar at The University of Sydney on September 13 from 12 noon to 2 p.m. on Writing about Animals: Literature’s evolving relationship with the animal kingdom. This seminar examines the role that literature and language plays in reimagining our relationship with animals. These three authors will discuss how animal-themed literature has evolved and where it is headed, focusing on language and how it shapes our relationships with different species (and our sense of their relations with one another). Combined with readings from new works of fiction, this seminar will offer insights into the ways in which twenty-first century animal literature can enlighten as well as entertain. Click here for complete information and to RSVP. Midge will be among the authors and artists at the Brisbane Writers Festival in Brisbane, Australia, from September 7 to 11, 2016. 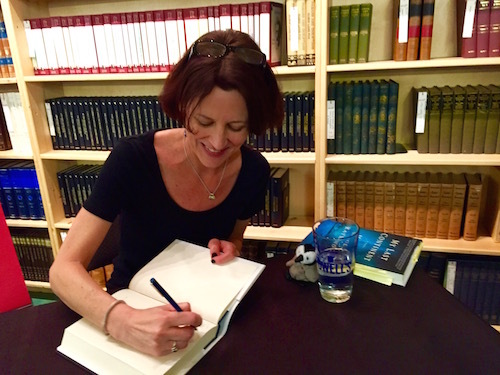 Join Midge for a variety of events, including a master class, a conversation about My Last Continent, 20 pages in 20 Minutes (manuscript critique, by application only), and BWF in the 'Burbs, a discussion at the Garden City Library. Click here for a complete program of the festival. Join Midge and Ashland Creek Press co-founder John Yunker at the SA Writers Centre in Adelaide, Australia, on September 4 for a hands-on workshop on creating a custom marketing plan for your book. Click here for complete details and to register. 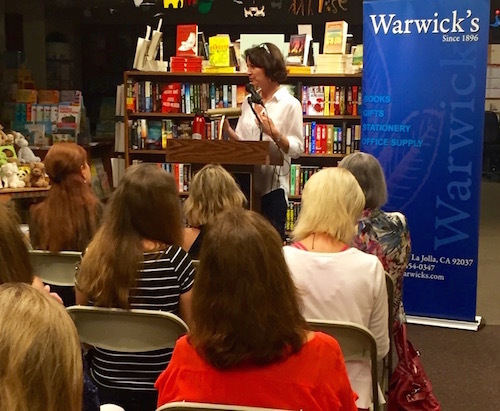 La Jolla, CA — Thursday, July 28, 2016, at 7:30 p.m.
Join Midge for a reading, signing, and Q&A at Warwick's at 7:30 p.m. You can reserve a seat by pre-ordering a copy of the book; please call 858-454-0347 or visit the Warwick's website. San Diego, CA — Saturday, July 23, 2016, 10 a.m. to 12 p.m.
Join Midge for Say Anything: How to Write Great Dialogue, a hands-on workshop at San Diego Writers, Ink from 10 a.m. to 12 p.m. From portraying character to moving the plot forward, dialogue works hard in any story. In this workshop, we’ll study examples of good dialogue and discuss how and why these work, and we’ll go over tips for how to create your own authentic, realistic voices, with writing exercises that will reinforce the major tenets of effective dialogue. San Diego, CA — Saturday, July 23, 2016, 1 p.m. to 3 p.m.
Join Midge for Looking Beyond the Web: Research Tips and Tools for Writers, a hands-on workshop at San Diego Writers, Ink from 1 to 3 p.m. Whether you’re mining your past for a memoir or researching a new subject for a novel, the amount and quality of information you gather makes all the difference. In this workshop, we’ll discuss the importance of going beyond surfing the web, as well as the best ways to tackle research, including making contact, shadowing subjects, and conducting interviews. Escondido, CA — Saturday, July 16, 2016, at 1 p.m.
Join Midge for a reading, signing, and Q&A at Barnes & Noble at 1 p.m.
San Diego, CA — Sunday, July 10, 2016, 4 p.m.
Join Midge at the Women's Museum of California for the Second Sunday Author Series: Women's Voices, Women's Stories on Sunday, July 10, at 4 p.m., in collaboration with San Diego Writers, Ink. Click here for details! San Diego, CA — Monday, July 11, 2016, 6:15 p.m.
Join Midge for the Tierrasanta Talks & Film Screening Antarctic Adventure on Monday, July 11, at 6:15 p.m. in San Diego. Midge will read from and talk about My Last Continent, and will introduce some of the penguins she's met along the way, from Antarctica to Argentina. Then enjoy a screening of the Academy Award-winning documentary March of the Penguins. Portland, Oregon — Wednesday, June 29, 2016, 7:30 p.m.
Join Midge for a reading, Q&A, and signing at Powell's City of Books at 7:30 p.m. Click here for details. 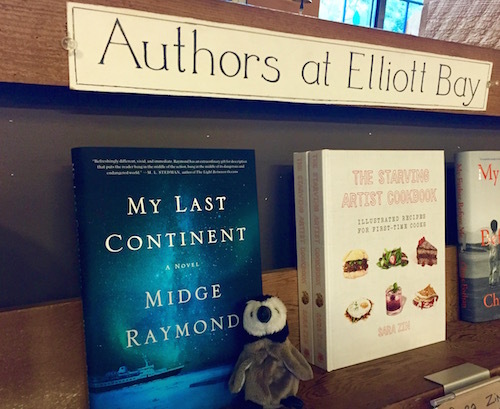 Seattle, WA — Thursday, June 30, 2016, 7 p.m.
Join Midge for a reading, Q&A, and signing at Elliott Bay at 7 p.m.
Ashland, Oregon — Monday, June 27, 2016, 7 p.m.
Join Midge for a reading, Q&A, and signing at Bloomsbury Books at 7 p.m.
Boston, MA — Tuesday, June 21, 2016, 7 p.m.
Join Midge, Mark Beauregard, and Rachel Richardson for a cross-genre panel discussion on exploration, the high seas, and the most intimate of personal relationships, at Papercuts J.P.
New York, New York — Thursday, June 23, 2016, 7 p.m.
Join Midge for a reading, Q&A, and signing at Shakespeare & Co. in Manhattan. Click here for details. Save the date: Join Midge and other local authors and publishers from the Southern Oregon Literary Alliance (SOLA) at Willamette Writers for “All Things Publishing: Author Panel and Breakout Sessions with Small Press Publishers.” A panel of small press publishers will discuss various aspects of publishing and take your questions, followed by an afternoon of three breakout sessions of your choice on publishing elements such as marketing, editing, and author websites. Visit Willamette Writers for more details, coming soon. Join Midge, Ashland Creek Press, the Southern Oregon Literary Alliance, and many others at the Ashland Book & Author Festival in Ashland, Oregon, on October 3, from 10 a.m. to 4 p.m. This all-day event at SOU's Hannon Library features readings, workshops, panels, a book fair, children's events, and more. Click here for a detailed schedule. Join Midge at the North Coast Redwoods Writers' Conference in Crescent City, California, for two days of workshops on writing, editing, and publishing. Click here for more details and to register. 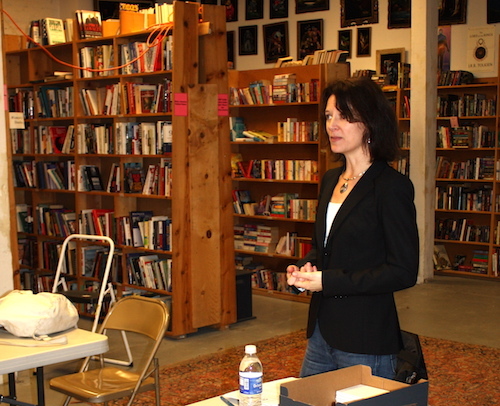 Join Midge at Willamette Writers for a day of book marketing. The morning lecture, from 10 a.m. to 12 noon, will cover a range of marketing basics, from author websites and blogs to event opportunities. The afternoon workshop, from 1:30 to 4 p.m., will be an interactive workshop in which participants will have the chance to tailor marketing basics to fit their own specific needs. You’ll learn what needs to happen before, during, and after your book launch; develop a custom marketing plan; and learn tips for writing author bios and book cover copy, for creating budgets, and for scheduling events. NOTE: For writers who would like marketing feedback, please bring one of the following to the afternoon workshop: book cover copy for your book, or an author bio (200-300 words max). Visit Willamette Writers for complete details, prices, and registration info. Join Midge for an online workshop, A Sense of Place: A Six-Week Course on Writing About Place in Fiction, hosted by Kahini, a place of connection and exchange for writers who crave a deeper level of engagement with their writing — and with the world. In this workshop, we’ll explore the theme of the environment, whether environment refers to your character’s relationship to his inner-city neighborhood or your novel’s setting in the wilderness. Through readings and writing exercises, we’ll look at the ways in which location, the natural world, industry, wildlife, and a changing climate affect story and character. Designed both for writers who want to generate new work as well as those who want to explore this theme, this workshop will offer assignments to help us go deeper into our relationship with our surroundings and learn how best to portray setting in the fictional realm. Class size is limited, and participating writers will receive one-on-one instructor feedback. For more information and to register, click here. UPDATE: This class is now full; join Kahini's mailing list for info on future classes. Midge will be the guest speaker at the SoCal Author Academy's monthly Dinner Series for Authors on Thursday, November 6, at 6 p.m., in La Jolla (4225 Executive Square, Suite 600). With generous support from Real Office Centers, the first 50 writers to sign up will receive a free autographed copy of Everyday Book Marketing. Seating is limited, so early registration is encouraged; for complete details and to register, click here. On Saturday, October 4, Midge will be teaching at the Claim Your Story writing conference in Ashland, Oregon. On Thursday, September 18, at 7 p.m., join Midge and Janée Baugher for an evening of fiction and poetry at the Northwind Arts Center. Visit the Northwind Arts Center website for details. Join Midge and many other writers for the Port Townsend Writers' Conference in July at Fort Worden State Park in Port Townsend, Washington. This ten-day conference features residencies, morning workshops, afternoon workshops, readings, lectures, and freewrites. For more information and to register, click here. Join Midge on Monday, June 16, from 5:30-7 p.m., for a travel-writing workshop at the Medford Public Library. In this workshop — for readers, writers, and travelers alike — we'll take a journey into reading and writing about place. We'll hear excerpts from Midge's book, Forgetting English, as well as from the works of other writers and travelers. You’ll also have a chance to do some writing of your own as you learn essential tips for how to turn your own adventures into compelling stories. Click here to contact the library for more information. 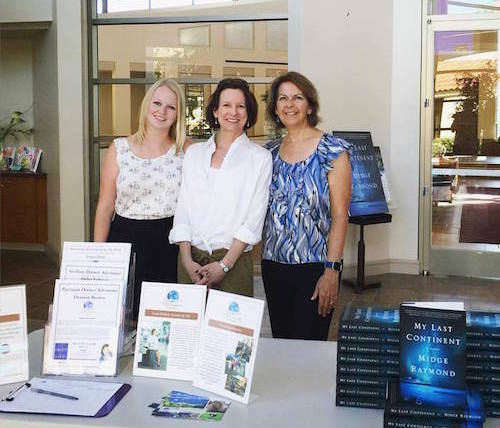 On Saturday, June 7, from 10 a.m. to 12 noon, join Midge and other authors and publishers for a panel on book publishing, followed by an afternoon workshop, at the June Southern Oregon Willamette Writers meeting at Central Point City Hall. The event will be open the community. Click here for complete details and to register. On Saturday, April 26, at 3 p.m., join Midge, Ray Keifetz, and John Yunker for a post-Earth Day celebration of eco-literature. The authors will read from Among Animals and discuss our relationship with animals and the environment. This event is free and open to all; contact the Ashland Public Library for additional information. 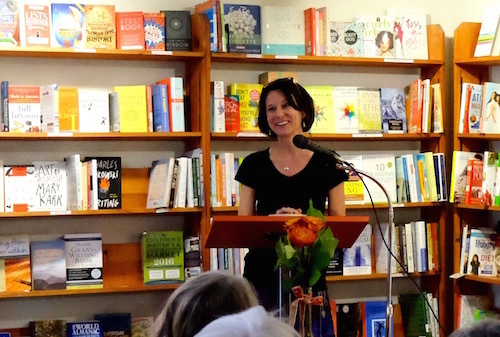 Join Midge on Monday, April 21, at Lyon Books for a presentation on Everyday Book Marketing. Learn how to promote your book without getting overwhelmed amid the seemingly endless marketing opportunities available to authors. We’ll cover a range of marketing basics, from author websites to blogs to events, and you’ll learn how to keep the never-ending tasks of book promotion manageable. You’ll receive tips on how to promote your book on an everyday basis, whether you have ten minutes a day or two hours a day, including tips on how best to use Facebook, Twitter, and other social media. This presentation is sponsored by the Chico Authors and Publisher’s Society and is open to the public. Click here for more information. On Monday, April 7, from 7 to 9 p.m., join Midge at the Ashland Food Co-op for a creativity workshop: Be More Creative Every Day. Whatever your creative endeavors—writing, visual art, photography, etc.—you’ll discover ways to live more creatively every day. This event is free and open to the community. Click here for details. On Sunday, March 2, at 2 p.m., join Midge and Gretchen Primack at Portland's Central Library for an afternoon of eco-poetry and fiction. The authors will read from their ecologically themed work, then facilitate a discussion about addressing the topics of the environment and animal protection in the context of fiction and poetry. This event is free and open to all readers, as well as writers, who are passionate about animals and ecology. Click here for full details. On Friday, February 28, at 4:30 p.m., join Midge, along with Kelli Russell Agodon, Wendy Call, Janna Cawrse Esarey, and Susan Rich, for a panel on book marketing: From Finding Your Muse to Finding Your Readers: Book promotion in the twenty-first century. Panelists from a variety of genres—poetry, fiction, narrative nonfiction, and memoir—will discuss the unique challenges and opportunities of transitioning from writer to published book author. Through specific experiences and using real-world examples, panelists will offer tips for finding one’s natural niche and audience, and how to reach out to readers authentically and generously. Topics include book promotion through conferences, book clubs, social media, awards, blogs, events, and salons. Click here for full details. On Wednesday, February 26, starting at 5 p.m., join Midge and other authors for the AWP Festival of Language, an evening of readings taking place at the Rock Bottom Restaurant and Brewery at 1333 5th Avenue in Seattle. Join Midge for Everyday Book Marketing: Strategies for Promoting Your Book During Your Regularly Scheduled Life. In this workshop, you’ll learn how to promote your book without getting overwhelmed amid the seemingly endless marketing opportunities available to authors. We’ll cover a range of marketing basics, from author websites and blogs to event opportunities, with a goal of developing marketing strategies that fit in with your regularly scheduled life. You’ll learn how to keep the never-ending tasks of book promotion manageable, whether you have ten minutes a day or two hours a day, and you’ll receive tips on how to promote your book on an everyday basis, as well as how best to use Facebook, Twitter, and other social media. This workshop will be held at the Ashland Public Library and is free and open to all. Call 541-774-6996 or visit the library's website for more information. Midge will be teaching the inaugural workshop of The Author Academy, a monthly series of interactive, resource-based marketing workshops for writers hosted by Adventures by the Book. This all-day workshop is divided into two sessions (writers are welcome to attend one or both). 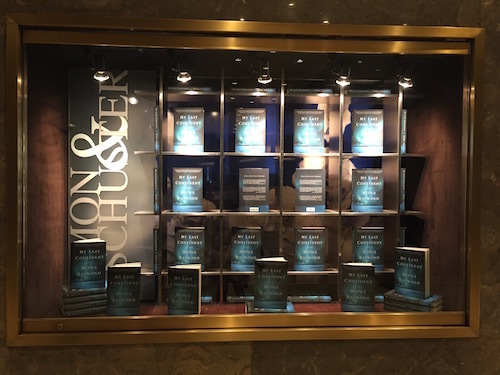 Part I: Book promotion actually begins even before publication — and it continues long afterward. In this workshop, you'll learn how to promote your book without getting overwhelmed amid the seemingly endless marketing opportunities available to authors. We'll cover a range of marketing basics, from author websites and blogs to event opportunities, with a goal of developing marketing strategies that fit in with your regularly scheduled life. You’ll learn how to keep the never-ending tasks of book promotion manageable, whether you have ten minutes a day or two hours a day. Click here for registration details. Part II: This interactive workshop is for the soon-to-be published author, whether you are self-publishing or have a contract with a publisher. 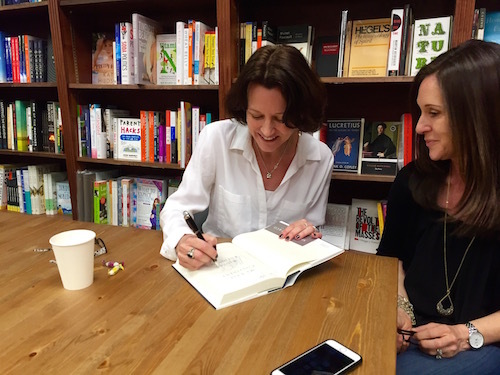 Using a checklist, we will go over what needs to happen before, during, and after your book launch, and participants will tailor the information to fit their own specific needs. As we cover everything from creating budgets to giving readings, writers will develop a customized marketing plan for their books that fits their individual needs and schedules. Click here for registration details. In this workshop for artists, Midge Raymond and John Yunker of Ashland Creek Press will discuss the art and science of book cover design from a small publisher's perspective. They'll talk about the process of choosing a cover design, how they work with artists, and the nuances of selecting the right cover for every book. They will also share resources they use for finding artists and creative ways authors and artists can work together to promote one another's work. Details coming soon; please also visit the Ashland Art Center website for more information and to register. Join Midge and many other writers for the Port Townsend Writers' Conference in July at Fort Worden State Park in Port Townsend, Washington. Now two weeks long, the conference features residencies, morning workshops, afternoon workshops, readings, lectures, and freewrites — for more information and to register, click here. Midge will be presenting a Marketing for Writers workshop for the Society of Children's Book Writers and Illustrators in Ashland, Oregon. Click here for more information and to register. Join Midge and Tara L. Masih, Jessica Anthony, Mary Akers and Laura van den Berg on Friday, March 8, at 3 p.m. for Women on the Road: Exploration, Inspiration, and Imagination in Fiction at the 2013 AWP Conference in Boston. This panel will feature an exploration of crafting stories and novels that place characters in distant regions and countries, and how travel abroad helped shape the countries of the panelists’ imaginations. Panelists will share travel experiences and photos, inspirations, readings, and the process of creative observation. Tips will be offered on using research to fill in travel gaps, both in contemporary and historical contexts, and on negotiating the complexities of writing about cultures different from one’s own. Join Midge at San Diego Writers for You May Already Be a Winner: Navigating the High-Stakes Seas of Writing Contests. This workshop is for all writers, emerging and published, who have wondered what goes on behind the scenes of writing contests, from literary magazines to small presses. This session will address such questions as how to tell whether a contest is reputable to what a writer’s odds of winning might be. Learn how to decide when it’s worthwhile to enter a contest, how to increase your odds of earning awards, and how to make the most of the opportunities contests offer. We’ll go over submission guidelines as well as tips and resources for finding the best contests. Click here for more information and to register. Join Midge at The Lively Muse Studio for Everyday Writing! Busy writers often struggle to fit writing into their regularly scheduled lives. In this workshop, you’ll learn invaluable tips for how to fit various aspects of your writing into every day—from how to hone your powers of observation to how to keep your projects moving forward even when you’re short on time. In addition to addressing and working on overcoming your biggest obstacles, we’ll do a sampling of writing prompts that will teach you how to think like a writer—so you can become an everyday writer even if you’re not able to sit down to write every day. Click here for more information and to register. Join Midge on Thursday, August 2, from 6 to 7:30 p.m. for an evening of travel reading and writing at the Eugene Public Library in downtown Eugene. In this workshop, we'll take a journey into reading and writing about place. We’ll hear excerpts from Midge’s collection, Forgetting English, and you’ll learn essential tips for how to turn your own adventures into compelling stories. For readers, writers, and travelers alike, this workshop is free and open to all. Join Midge on Thursday, July 26, from 1 to 2:30 p.m. for a writing workshop at the Ashland Public Library. This free event is part of the library's 2012 summer reading program, Between the Covers. For more information, call the library at 541-774-6996. Join Midge and many other writers for the Port Townsend Writers' Conference in July at Fort Worden State Park in Port Townsend, Washington. Now in its 39th year, the conference features morning workshops, afternoon workshops, readings, lectures, and freewrites — for more information and to register, click here. Join Midge for for an afternoon of travel reading and writing at the Medford Public Library on June 20, 2012, from 12 noon to 1:30 p.m. In this workshop — for readers, writers, and travelers alike -- we'll take a journey into reading and writing about place. We'll hear excerpts from Midge's book, Forgetting English, as well as from the works of other writers and travelers. You’ll also have a chance to do some writing of your own as you learn essential tips for how to turn your own adventures into compelling stories. Join Midge and many other writers, editors, and publishers at the Ashland Book & Author Festival on June 23, 2012, at the Hannon Library at Southern Oregon University. Midge will be presenting a session called The Literary Traveler: Reading and Writing About Place. For more information, including authors, publishers, panels, presentations, readings, and other activities, click here. Join Midge for Everyday Writing, a workshop for busy writers. Writers with other life responsibilities (i.e., all of us!) often struggle to fit writing into their regularly scheduled lives. In this workshop, you’ll learn invaluable tips for how to fit various aspects of your writing into every day—from how to hone your powers of observation to how to keep your projects moving forward even when you’re short on time. In addition to addressing and working on overcoming your biggest obstacles, we’ll do a sampling of writing prompts that will teach you how to think like a writer—so you can become an everyday writer even if you’re not able to sit down to write every day. Two sessions are available (afternoon, from 12-2 p.m., and evening from 7-9 p.m.) — for more information and to register, click here. Join Midge and John Yunker for readings from Forgetting English and The Tourist Trail at St. Louis's wonderful independent bookstore Left Bank Books, in the Central West End. Join Midge and and Wendy Call at Grub Street's headquarters in downtown Boston for a Brown Bag Writing Workshop. Recently profiled in the Boston Globe, this series offers 45 minutes of inspiring writing exercises in the company of fellow writers. The session is free — just bring your lunch and come on down. More details here. Join Midge for a reading, discussion, and book signing for the new, expanded edition of Forgetting English at Woodstock's fabulous local indie Shiretown Books. Join Midge for Be Your Own Editor, a two-hour workshop at The Writer's Center in White River Junction, Vermont. We'll cover everything from grammar to characterization to dialogue — and be sure to bring your own work-in-progress for some hands-on editing. Pre-registration is required: Visit The Writer's Center for more information; you can also register here. Join Midge and and Wendy Call for an afternoon of reading and writing about place at the lovely Galaxy Bookshop. Midge and Wendy will read from their books and share tips for writing about place as well as for how to create a global story with a local heart. This event is free and open to all. Join Midge and and Wendy Call for an afternoon of reading and writing about place at Northshire Bookstore, Vermont's largest independent bookstore. Midge and Wendy will read from Forgetting English and No Word for Welcome and share tips for writing about place as well as for how to create a global story with a local heart. For readers, writers, and travelers alike, this event is free and and open to all. Join Midge and and Wendy Call at Grub Street's headquarters in downtown Boston for a craft seminar, You Are Here: Creating a Sense of Place. This three-hour seminar offers tips for all prose writers in a team-taught class that focuses on place. As authors whose recent books are grounded in foreign settings, Wendy and Midge will offer tips for how to offer a strong sense of place no matter where your scenes unfold, whether it’s a small Mexican village, the lonely islands of the South Pacific, or a character’s own living room. We’ll demonstrate what place can reveal about character and how a single setting can create a more universal picture—all with plenty of writing prompts along the way. For details and registration, click here. Join Midge and and Wendy Call for a workshop on immersion journalism and narrative writing at Boston University's College of Communication. In this two-hour workshop -- a brown-bag event free and open to all — Midge and Wendy will talk about their experiences as journalists and authors, offering examples, resources, and writing exercises to show how best to get people and places effectively, accurately, and vividly on the page. 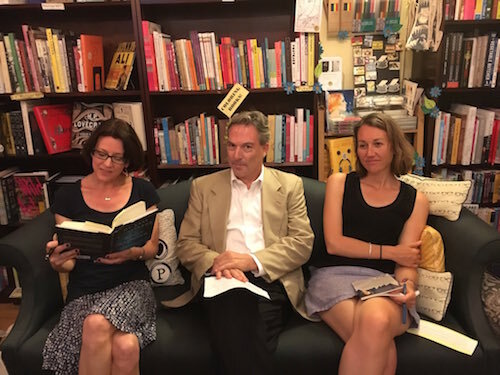 Join Midge and and Wendy Call for an evening's journey into reading and writing about place at New Hampshire's fabulous RiverRun Bookstore. Midge and Wendy will read from their books, Forgetting English and No Word for Welcome, and share tips how best to write about place and how to create a global story with a local heart. For readers, writers, and travelers alike, this event is free and and open to all. Join Midge and author, teacher, and translator Wendy Call for a joint event at Orca Books, an evening that will take you from the villages of Mexico to the islands of the South Pacific. Midge and Wendy will read from and discuss their books, in which native landscapes are defended or abandoned, and in which border crossings both literal and figurative change lives. Visit Wendy's web site for more about Wendy and to learn about her book, No Word for Welcome . Join Midge and many other writers for the Port Townsend Writers' Conference in July at Fort Worden State Park in Port Townsend, Washington. Now in its 38th year, the conference features morning workshops, afternoon workshops, readings, lectures, and freewrites — for more information and to register, click here. Join Midge and John Yunker, co-founders of Ashland Creek Press, at the Ashland Public Library for a discussion on using fictional stories to address such issues as the environment, globalization, and the threats to endangered species. This workshop for readers and writers is free and open to all. Join Midge for an evening of travel reading and writing at the Bend Public Library. In this workshop, we'll take a journey into reading and writing about place. We’ll hear excerpts from Midge’s collection, Forgetting English, and you’ll learn essential tips for how to turn your own adventures into compelling stories. For readers, writers, and travelers alike, this workshop is free and open to all. Join Midge for an evening of travel reading and writing at Bloomsbury Books. In this workshop, we'll take a journey into reading and writing about place. We’ll hear excerpts from Midge’s collection, Forgetting English, and you’ll learn essential tips for how to turn your own adventures into compelling stories. For readers, writers, and travelers alike, this workshop is free and open to all. From Ernest Hemingway in Spain to Paul Theroux in China, great writers excel at painting vivid portraits of the places they take us. Join Midge for a journey into reading and writing about place. In addition to a reading from Forgetting English, we'll explore other travel works, from fiction to memoir to narrative journalism. We'll also talk about how to turn your own adventures into compelling stories. We'll meet in the Gresham Room of the Ashland Public Library at 7 p.m. Don’t forget to bring a pen and paper to do your own writing! Join Midge at San Diego Writers' Ink Spot for Getting Into Character, an afternoon workshop from 1 to 5 p.m. Whether you’re writing fiction or memoir, characters are what make your stories live and breathe. In this seminar, you’ll learn how best to bring characters to life, whether you’re creating them for a short story or novel, or whether you’re portraying real characters in a memoir. We’ll look at classic and contemporary examples of good characterization and discuss how character relates to other aspects of story, such as dialogue, setting and plot. We’ll spend time on writing exercises designed to flesh out your characters, both on and off the page, so you’ll be fully in character by the seminar’s end. Visit San Diego Writers for details and to register. 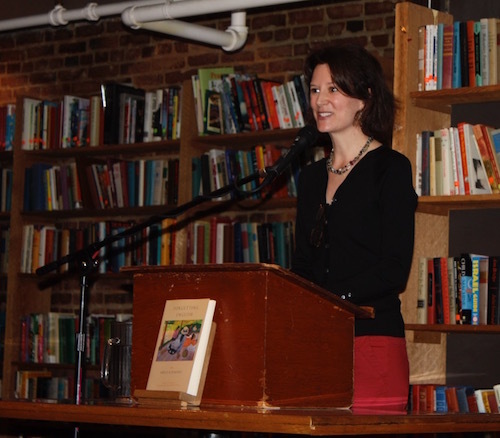 Join Midge at Seattle's all-indie Pilot Books for a free travel-writing workshop and reading. In this hour-long workshop, you’ll learn how to turn your adventures into compelling fictional stories or memoir. Learn how to portray character (even if the character is you), develop a storyline, and make your memories jump off the page through vivid description and detail. The workshop will be followed by a reading from Forgetting English. The event starts at 7 p.m. and is free and open to all. 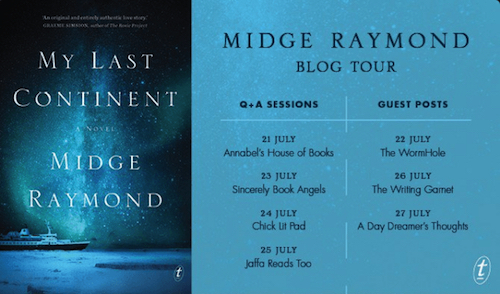 Join Midge on Bainbridge Island for the Field's End Roundtable series. In June, we'll be discussing a topic necessary for all writers: How to Be Your Own Editor. The program begins at 7 p.m. and will be held in the the Bainbridge Public Library Meeting Room. For more info, contact Field's End. Write all day and support Richard Hugo House at Write-O-Rama! On Saturday, June 5, from 10 a.m. to 5 p.m., Midge and other Hugo House instructors will teach more than 30 one-hour workshops. All you need is $50 (but that's only the minimum -- there will be prizes for top fundraisers), and a notebook or laptop. Food and open mics will help combat writers' cramp. Click here for more info and to register. Join Midge and dozens of writers at Richard Hugo House's first writing conference, Finding Your Readers in the 21st Century. The weekend will focus on the changing literary landscape and the options available to writers for getting their work out in the world and into the hands of readers. With sessions on book trailers, e-publishing, marketing and promotion, and networking (virtually and otherwise), writers will learn all aspects of the business of being a writer. For full details, including registration information, visit the Hugo House web site. Join Midge at Richard Hugo House for a 10-week Master Class in Prose. In this class, writers will complete or fully revise at least one short story or essay. With an emphasis on the short form, we’ll look at the elements of good narrative -- including character, story, dialogue, setting, and voice — through examples and discussion but primarily in the context of student work. Each writer will have the opportunity to workshop a story or essay twice during the duration of the class, and we’ll discuss revision methods as well as how to gain insight into one’s own work through reading and responding to the work of others. Visit the Hugo House web site for details and to register. Join Midge at King's Books in Tacoma for Meet the Artist, a component of the annual Artist Trust/ Washington State Arts Commission Fellowship Award. From 2-4 p.m., Midge will present a free workshop, Writing About Place, followed by a Q&A and a reading from Forgetting English. "Meet the Artist events bridge our artistic community with the diverse communities in Washington State, increasing awareness about the vital roles art and artists play in our culture. Find out more at Artist Trust." Join Midge at San Diego Writers' Ink Spot for "Setting the Scene," a workshop designed to help you get a sense of the where in your writing. First we’ll take a close look at how established memoir and fiction writers incorporate setting into their work, studying the details and descriptions that make places and settings come alive for readers. Then you’ll get to work on writing exercises that will teach you invaluable tips for setting your own vivid, unforgettable scenes. Visit San Diego Writers for details and to register. Join Midge and other authors, editors, and agents at the 24th annual Southern California Writers' Conference in San Diego. Visit the SCWC web site to register and for more details. Join Midge, Matthew Simmons, Maria Semple, and Rory Douglas for Cheap Beer and Prose, a spinoff of Cheap Wine and Poetry, "Seattle’s biggest, coolest, hippest reading series" at Richard Hugo House. Admission's free; cheap beer's $1; starts at 7 p.m.
For $45 (or more!) in pledges, you can join Midge and other creative writing instructors for Write-O-Rama, a full day of writing (not to mention food, open mics, prizes, and a wrap party) to benefit Richard Hugo House. Start gathering pledges, then show up and choose from more than 40 one-hour workshops across all genres. Registration begins at 9:30 a.m., and the writing begins at 10. Click here for a pledge card and complete details. Don't miss the 2009 Seattle Bookfest! Midge will be reading on Sunday at 3 p.m., Stage 3, as part of an entire weekend of local authors, bookstores, publishers, and more. Get all the details here. Fall is the perfect time to get back into writing with "Telling Your Story" at Seattle's Richard Hugo House. In this memoir-writing class, you’ll learn how to apply the narrative techniques of fiction to memoir and personal essays. From mining for material to recreating scenes from memory, this class will help you shape your stories into compelling narrative. Through readings and discussions, you’ll discover the essentials of good narrative writing and develop a daily writing routine that will help you meet your goals. Weekly writing exercises will help you complete and/or revise a personal essay or a memoir chapter by the end of the six-week class. UPDATE: This class is now full, but please feel free to contact the Hugo House Registrar at 206-322-7030 to be placed on a waiting list. Join Midge for a reading and travel-writing workshop at Wide World Books & Maps. In this hour-long workshop, you’ll learn how to turn your adventures into compelling fictional stories or memoir. Learn how to portray character (even if the character is yourself), develop a storyline, and make your memories jump off the page through vivid description and detail. The workshop will be followed by a reading from Forgetting English. Free and open to all! Click here for store info. 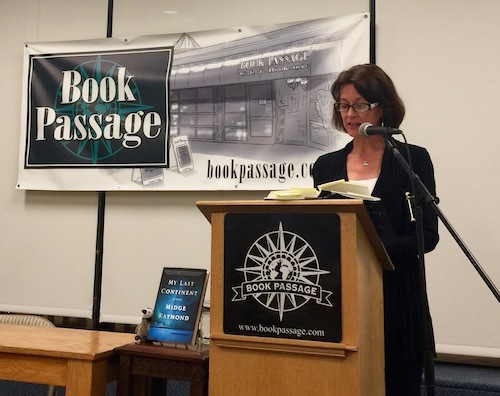 Join Midge and Seattle author Janna Cawrse Esarey for Love and Exile: True and Fictional Journeys from Local Writers. Co-sponsored by Richard Hugo House, the evening will feature readings from Forgetting English and Janna's book The Motion of the Ocean: 1 Small Boat, 2 Average Lovers and a Woman's Search for the Meaning of Wife, as well as Janna's slides, some Q&A, and Cafe Hugo (translation: beer, wine, cocktails, and snacks). The evening will be emceed by former Hugo House Writer-in-Residence Wendy Call, with a Q&A led by local doctor-writer Audrey Young. Most of all, it's a party — and it's free and open to all. Click here for directions to Hugo House, on Capitol Hill. Midge will be teaching a 4-week summer session at Seattle's Richard Hugo House. The Art & Craft of the Short Story will take a look at short story classics as well as give writers a running start toward crafting stories of their own. Check the Hugo House summer catalog for more details and registration information. UPDATE: This class is now full, but please feel free to contact the Hugo House Registrar at 206-322-7030 to be placed on a wait list. 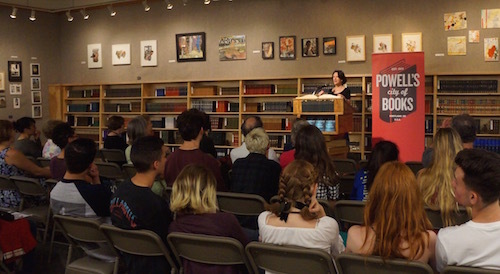 Midge will be reading from Forgetting English at the University of Washington's University Book Store at 7 p.m. Click here for details and directions. Midge will be participating in several events at Get Lit!, the Northwest's best festival for readers and writers. Midge's events include a panel discussion with authors Jane Smiley, Kathryn Trueblood, and Laurie Notaro; a festival reading with Brenda Miller; and a workshop on rewriting with Pamela Holway, Glenda Burgess, Kathy Fagan, and Ken Letko. Midge is teaching a Saturday afternoon workshop on character at Seattle's Richard Hugo House. Visit the Hugo House Spring Course Catalog online for details and to register. 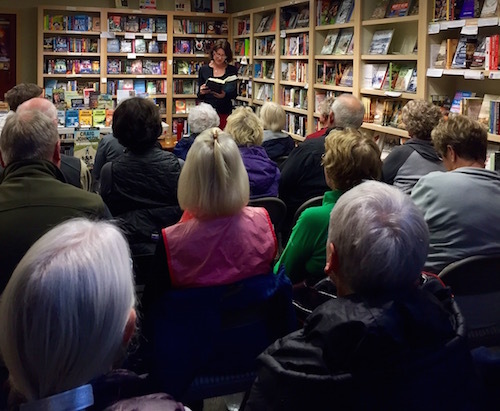 Join Midge for a Forgetting English reading and book signing at Seattle's Elliott Bay Book Company on Friday, April 10 at 7 p.m.
Join Midge and other Hugo House instructors for a reading on Tuesday, March 24, at 6:30 p.m. at Seattle's Richard Hugo House. In addition to the readings, you'll get to hear a preview of Hugo's spring classes. Midge will be leading workshops at the Southern California Writers' Conference in San Diego over President's Day weekend, February 13-15, 2009. Sessions include Publishing Short Fiction and Revision: From Structure and Theme to Dialogue and Detail. Midge will be at San Diego Writers for a Forgetting English event at the Ink Spot ... stay tuned and/or visit San Diego Writers for details. Midge is leading a fiction workshop in collaboration with Warwick's and San Diego Writers, Ink. The workshop, supported by Poets & Writers, Inc. through a grant from the James Irvine Foundation, will be held at the La Jolla Public Library and will be followed by readings from A Year in Ink. Visit Warwick's or San Diego Writers for more information and to register.